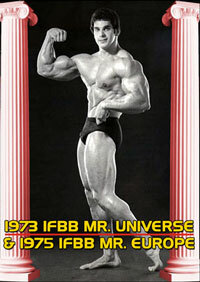 1970 and a still young Arnold Schwarzenegger wins his final NABBA crown in England. 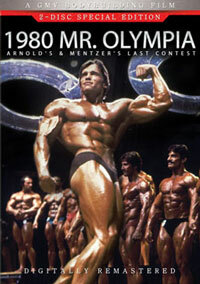 A very historic film. 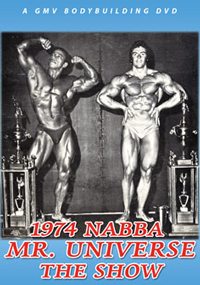 You'll also see Franco Columbu, Frank Colombera, Johnny Fuller, Chris Dickerson, Boyer Coe, Dave Draper, Reg Park, Al Beckles, John Citrone, Walter O'Malley, Helmut Riedmeier, Brian Eastman & Frank Richard. 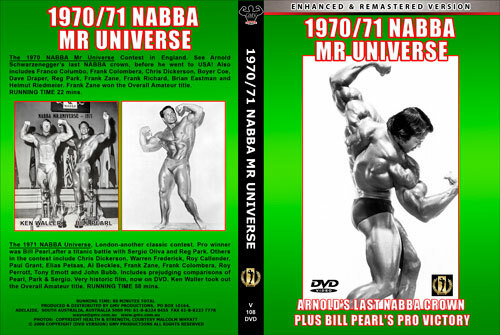 And also on this tape the 1971 NABBA Universe - the Amateur winner was Ken Waller the Professional winner was Bill Pearl. 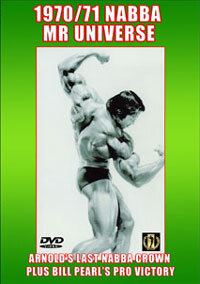 Also includes Frank Zane, Reg Park and the great Sergio Oliva. 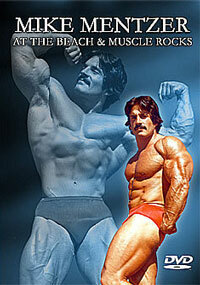 Please bear with us on this great classic. 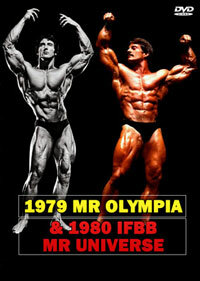 It was shot under conditions that today just wouldn't be tolerated. The lighting was poor, and given the technology of the day the quality is the best we can achieve under the circumstances. Shot on film, transferred to video, and music added. Most of these photos were taken by the late great George Greenwood, who authorised their use by Wayne Gallasch many years ago. * This is a direct transfer to DVD with no special features.